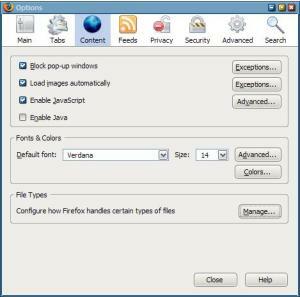 If you are using Firefox's option to save usernames and passwords for websites that you visited to automatically fill them in when you visit them again you might find a Greasemonkey script called AutologinJ useful. I'm not quite sure what the J stands for but this nice little script presses the login button for you automatically which pretty much means that you can lean back and enjoy the show while Firefox logs you in automatically to the website that you just visited. We all have some sites that we visit regularly throughout the day. It's my site of course for me, Gmail and a forum that I hang out all the time. It does happen from time to time that I accidentally close one of those tabs that I need throughout the day only to find myself opening it again in the next second. I really never bothered to take a look at the available themes for the Firefox browser thinking that all they would do was to add more Kilobytes to Firefox's memory consumption. Besides that: what cool looking themes could possibly be available for Firefox anyway ? While the Master Password in Firefox is a useful security addition it can soon become a burden if you lost the password that you entered there. There is no way of simply looking into a file and copying your master password from it, would not make much sense at all to add a master password that could be looked up in a file. 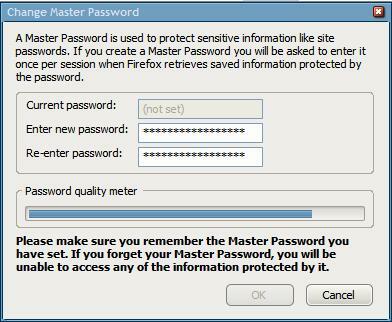 I can't stress the importance of the master password in Firefox if you are one of the users who is letting Firefox save passwords for you so that you do not need to enter the password and username again when visiting the site at a later time. While this feature is surely comfortable and takes away the need to memorize usernames, passwords and corresponding sites plus the typing that has to be done when logging into a site it is a security risk. If you are using Google Calendar regularly you might find this little Firefox tip interesting. It is possible to display your current and upcoming events that you added to Google Calendar in the Firefox sidebar. This is actually pretty easy to accomplish. Pressing F11 in Firefox displays the current website in full screen mode removing many of the toolbars and buttons that are not required to view a website. There is however no obvious possibility to change the appearance of the full screen view mode of Firefox. The XeroBrowser that I wrote about just a few hours ago is a nice software especially for inexperienced users who feel insecure when configuring security applications. Experts or users who want to control what is being installed and used on their system want to manually add security extensions to Firefox. This is probably the better approach because they know exactly what is installed on their system. Printing websites is not as easy as it sounds. It is surely possible to simply hit the CTRL + P shortcut and hope that all relevant information will be on the printout which is usually not the case because menus and advertisement increase the width of printouts of many websites and add unnecessary information to it. I regularly register at websites that either force me to register to leave a comment or that offer such great value that I want to join to become a member of the community. The signup process is always the same. Enter a username, a password, a valid email and if you want several additional information about yourself to register at that website. We have all made the experience in the past that many websites are not available all the time. A website that got on Digg's homepage or slashdotted might have went down pretty fast which is unfortunately if you want to read what the buzz that it created was all about. I normally bookmark those websites and visit them again later to see if the website is available again. If it is not I try it a few more times and if it is not up at that point I either forget about it or delete the bookmark. I recently received the error message "The associated helper application does not exist" whenever I tried to download - and run - a torrent file from within Firefox. The associated helper application is a third party application that is either added to the download actions list be default or when a user is selecting to always open a file type with an application. Most textfields or textareas on websites accept only text input. Even more advanced textareas like those that Bloggers use to write articles offer only a handful of options and the webmaster needs to know a fair share of html to be able to arrange the text the way he wants. Ever tried to have an image on the left side and float the text around it ? This can't be done with Wordpress unless you use the float command explicitly. I encountered a problem in Firefox after installing the Piclens extension. 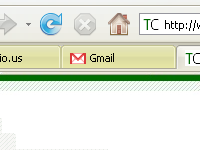 My Bookmarks toolbar was not showing my bookmarks anymore, just a blank toolbar. It was also not possible to add new bookmarks to it. A quick check of my bookmarks revealed that the Bookmarks Toolbar Folder was still there so it had to be a different problem. 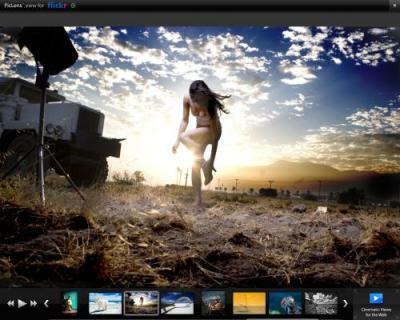 Piclens is a great Firefox extension that adds image viewer capabilities to Firefox. It adds a full screen display on supported sites showing the selected image plus all other images in a thumbnail bar at the bottom. The extension does not work on all sites but on some major ones such as Flickr, Facebook, Google Images, Yahoo Images, Friendster, Picase Web Albums and RSS Media Feeds. Many Firefox extensions that you install can be configured by accessing the Tools > Add-ons menu and clicking on the Options button of the extension that you want to configure. This is not an elegant way if you have to change options frequently. That is probably the same thought that James R. Skinner had who developed the Firefox extension 'Options Menu'. I recently read an article about Firefox tweaks that would speed up page loading time by changing several settings in the about:config dialog. I knew those tweaks but decided to take a look if my settings were different from the ones mentioned in the article. I found out - to my big surprise - that I was running Firefox with the default settings and not the tweaked settings. I had the feeling that Firefox was running slower than before after the latest update but I was not able to determine the cause, until now that is. Firefox's build in spell checker is a great asset for everyone who is working with Firefox. It does not matter if you update your blog, are a regular in a forum or like to write reviews on travel sites - the spell checker is a tool that you do not want to miss. New words can be added to the Firefox spell checker by right-clicking the word and choosing Add to Dictionary from the menu.